Guanajuato shopping centers online – huge database of shopping areas in Guanajuato (Mexico). Information about shopping centers, malls, factory outlet locations in Guanajuato, Mexico. Select Guanajuato shopping areas from the list. 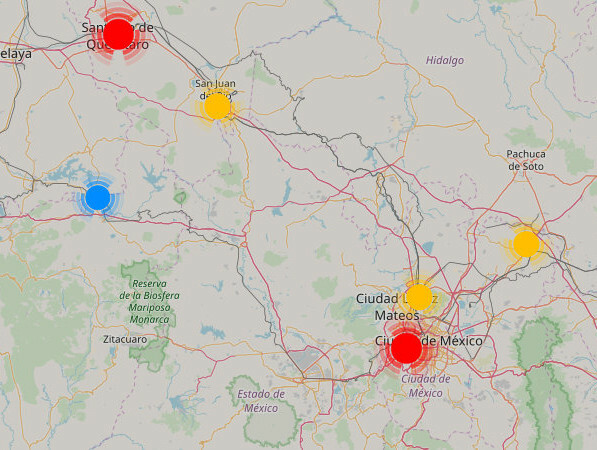 All Guanajuato shopping centers, malls are also displayed on the map. Av. Valle de Santiago no.1706, esq. con Comunicación Norte, col. Jacaranadas, 36793 Salamanca, Guanajuato.